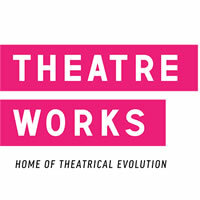 Theatre Works is a creative centre and venue in the heart of St. Kilda focusing on Independent Theatre. Theatre Works is a venue and co-producer that provides a flexible, friendly, technically equipped, well-maintained and financially viable theatre space supportive of emerging artists and artistic trends. Situated in the heart of St Kilda, between vibrant Acland St and Fitzroy St precincts, Theatre Works has a rich, 35-year history of providing quality entertainment experiences. In 2016, over 20,000 audience members attended productions. Theatre Works is one of the last remaining alternative theatre companies described as part of the Australia's Next Wave movement. Like some of its contemporaries, Theatre Works was formed in 1980 by a group of students (including Peter Finlay, Susie Fraser, Carolyn Howard, Hannie Rayson and Peter Sommerfeld) graduating from the Victorian College of the Arts' Drama School and operated as an ensemble of actors, writers and directors concerned with producing work that both 'celebrated and disturbed' suburban audiences. The idea was to take live performance out of dedicated theatre buildings and produce it closer to the places where people lived and worked. Theatre Works' venue, the Parish Hall (known as 'The Parish') is heritage listed and dates back to the 19th century. It is located in the historic Church Square complex on the corner of Acland Street, along with the stunning Christ Church and garden surrounds. The Parish was converted into a theatre auditorium in the early 80's and is complete with bar/ foyer and dressing room facilities. The auditorium can accommodate 140 people. With a retractable seating bank, the space is flexible, lending itself to large-scale events however it can be split to create a more intimate setting. The Theatre Works team can work with you to plan your event in detail. Experienced staff can provide advice on production logistics, marketing and publicity. Theatre Works is easily reached by public transport. Tram and bus services provide regular stops and pick-ups within the Fitzroy and Acland Street shopping precincts, both just a short walk from Theatre Works. Parking is at a premium in St Kilda. We recommend arriving early and leaving yourself plenty of time for parking. Alternatively, you could use the paying car park at the Prince of Wales Hotel which is located on the corner of Acland and Fitzroy Streets. The Theatre Works Box Office, Bar and Cafe is open 45 minutes prior to the scheduled show start time. Come in, collect your tickets, have a drink and chat with our friendly box office crew.